Dr. Greg Fors, the owner and clinic director of Pain and Brain Healing Center, is a Minneapolis neuropathy doctor offering superior functional medicine solutions in the Twin Cities. To set up an appointment with Dr. Fors, contact our neuropathy clinic online, call us at 763-862-7100 or stop by our office in Blaine. Is it spreading to your feet, legs or your arms? Are you kept up at night by burning, throbbing or shooting pains in your extremities? Then you may be developing a condition known as peripheral neuropathy. While some peripheral neuropathies progress slowly over many years, other types can develop quickly. You need to stop this in its tracks before it’s too late, because it leads to nothing but misery and disability. Available drugs only help you deal with the symptoms as it progresses to disability. To stop this disorder, you need life-changing care. Care that involves massive changes in your lifestyle, diet, targeted nutritional support based on laboratory findings and acupuncture. I have found this unique combination of care to stop the progression and even reverse neuropathy if caught early enough. Peripheral neuropathy means that you have damaged the nerves in your extremities. You may only become aware of this nerve damage after it is well established and it starts to cause you pain and/or numbness, usually first in your toes and feet. Generally, the symptoms start off as an occasional mild problem that can be easily ignored until the pain and numbness becomes constant. With a proper neurological exam, a doctor can find evidence of peripheral neuropathy even before you're aware of any symptoms. These neurological findings followed up with proper laboratory tests can identify the underlying metabolic causes of the neuropathy before it does extensive damage. This is the ideal way I like to treat this condition. However, most individuals wait until severe symptoms drive them into see me. 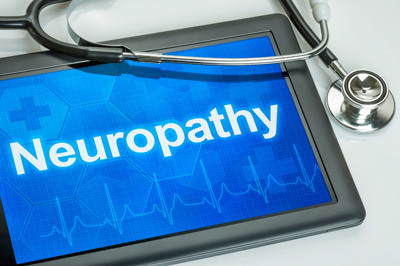 This neuropathy develops over time from elevated blood sugars causing the reduced blood flow, inflammation, oxygen deprivation and nutritional deficiencies in the peripheral nerves. However, many individuals with undiagnosed early diabetes are in fact developing early neuropathy from elevated blood sugar spikes. Therefore, you need an aggressive dietary and lifestyle program that gets your blood sugar spikes under control without relying just on diabetic medications, which can make neuropathy worse. Many times, with diabetics there are undiagnosed multiple nutritional deficiencies, which can also lead to damage in the peripheral nerves. Some of the more common nutritional deficiencies are low tissue levels (not always blood levels) of vitamin B12, folate, B6 and vitamin D. Unless a doctor runs the proper laboratory tests for malabsorption and tissue specific nutritional deficiencies, you can go undiagnosed for years leading to many health issues including peripheral neuropathy. Also, individuals with autoimmune disorders such as rheumatoid arthritis, lupus and Hashimoto's thyroiditis commonly develop peripheral neuropathy. Toxic neuropathies are those caused by substances that are poisonous overtime to the peripheral nerves, such as heavy metals (e.g. lead and mercury). Another example of this is the toxic neuropathy found in excessive alcohol use, which causes a specific peripheral neuropathy. One of the most common causes of toxic neuropathy today are medications, which cause damage to peripheral nerves over time. For example, common drugs that treat high blood pressure over time can cause nerve damage. There are many ways to develop this painful disabling disorder. It is therefore vital that all the underlying metabolic factors be uncovered and properly treated or these burning, tingling, throbbing pains will never ever let up, for there are no drugs that can cure this problem. Eventually peripheral neuropathy will lead to greater disability, that of muscle weakness, loss of balance and coordination. To do so, a proper diet must be utilized along with gentle aerobic exercise. Alcohol and tobacco must be eliminated if healing is to occur. Other harmful foods must be eliminated such as sugar, junk foods, fast foods, processed foods, sodas of all types, foods sprayed with pesticides, and trans-fatty acids. Certain additives such as MSG are deadly for the nerves. Artificial sweeteners such as aspartame contained in diet soda and processed foods also negatively impact the nervous system. An individualized balanced intake of Omega 3 and Omega 6 fatty acids, based on Essential Fatty Acid Profile lab test, is vital in healing peripheral neuropathy. Beyond this a doctor knowledgeable in the care of this disabling condition can utilize, based on specific laboratory tests, specific supplements and herbs shown to correct the underlying metabolic causes of peripheral neuropathy. Along with this acupuncture can be utilized to help induce a healing response in peripheral neuropathy, based on multiple research studies and extensive clinical experience. Are you in need of a Minneapolis neuropathy doctor? Join me, Dr. Greg Fors, for a FREE 10-minute phone consultation, or better yet make an appointment for an in-office personal 15-minute consultation with me. To set up your consultation, call my clinic at 763-862-7100. Check out our narrated PowerPoint seminar on neuropathy! 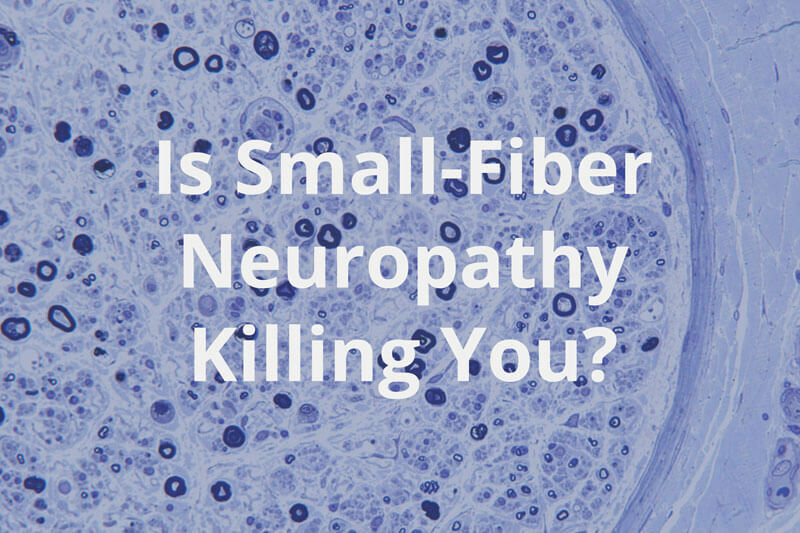 Can Small Fiber Neuropathy be Reversed?